The Network Marketing Mastery Interview Series allows you to listen in as Todd sits down with 10 powerful and highly successful people in the network marketing profession. 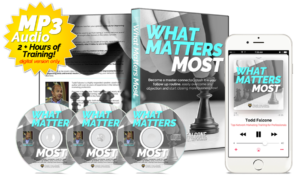 Most people would be thousands of dollars to have the opportunity to sit down and pick the brains of someone who has achieved huge successes in the network marketing profession. However, unless you know those people personally…getting them to sit down with you for an entire hour and have you prod them with questions isn’t something that typically happens. 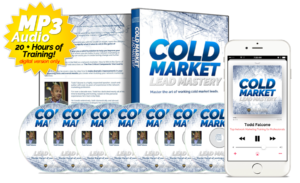 Todd Falcone brings them to you in this training series, and asks them very direct questions as to how they’ve achieved the their success in network marketing. Ben Sturtevant, who has an amazing amount of focus and has built a monster network of independent distributors in the network marketing profession. Dan McCormick, who has been involved in network marketing for over 25 years and has built checks exceeding $100,000 per month in earnings. David Skultetly, who has a background in finance and has now made his entire career path building successful networks. Eric Worre, author of the Best Selling Book ‘Go Pro”, and one of the most recognized figures in the entire network marketing profession. Jason Domingo, who over the past 20+ years has built several successful network marketing organizations. Kimmy Brooke, who came blazing onto the network marketing scene, having never built any business before…and absolutely crushed it in her company. Michelle Jones, who is an incredibly powerful recruiter and always on top of any company she builds. Onyx Coale, who swore off network marketing for years, before finally joining a company and building an organization of over 200,000 people in 20 countries. 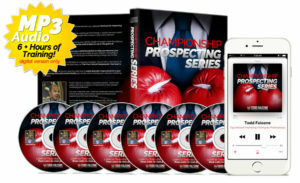 Ray Higdon, who quickly became the top recruiter in his company and now spends most of his time teaching the principles that took him from personal bankruptcy to success. Tracy Monteforte, a person friend of Todd’s who has been in network marketing for over two decades, built her own technology company, and remains a staple in the network marketing community. 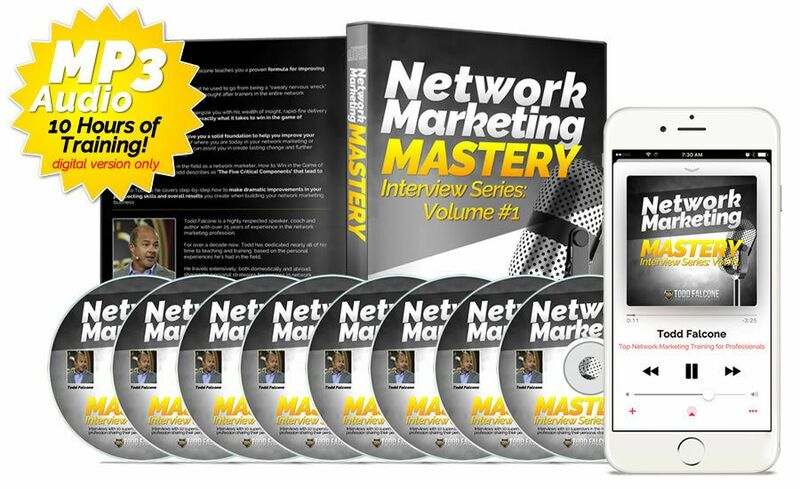 The Network Marketing Mastery Interview Series presents a unique opportunity for you to learn from people who have mastered the craft…as if you sat down with them yourself!